Beauty Bakerie, the indie brand that broke headlines with their long-wear matte lipsticks, is now giving sneak peeks at their new Flour setting powder. We often think beauty products are cute enough to eat (we’re looking at you, Too Faced), but Beauty Bakerie takes the kitsch to an all new level with their “baked” cosmetics! Gluten allergies fear not, this “flour” is only for your face! The mostly vegan and cruelty-free brand was cooked up by CEO Cashmere Nicole. A super cute flour bag holds the container of setting powder which comes in four different shades: translucent, pink, brown, and yellow. The mattifying finishing powder is oil-absorbing and vegan in every shade, except pink. 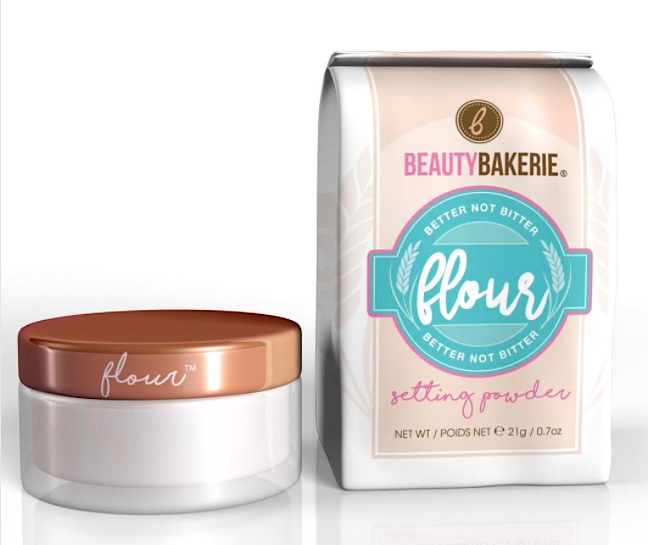 Beauty Bakerie Flour drops next month, followed by a Cake Mix foundation this spring!